It simplifies the tasks of uploading and updating your Gallery Pages and Proofing projects. 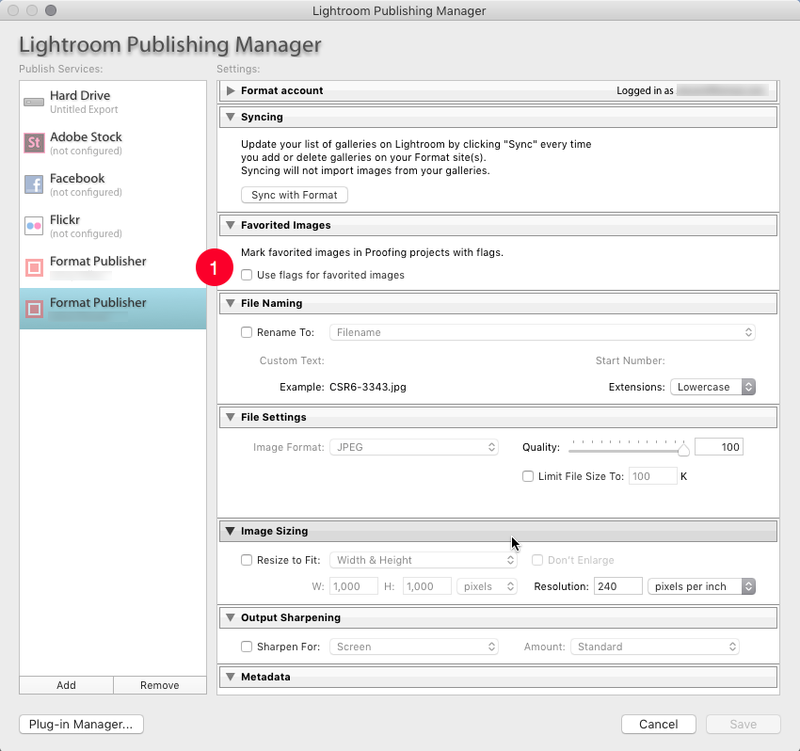 The plugin is not compatible with the web based version of Lightroom CC. Download the Format Publisher plugin. 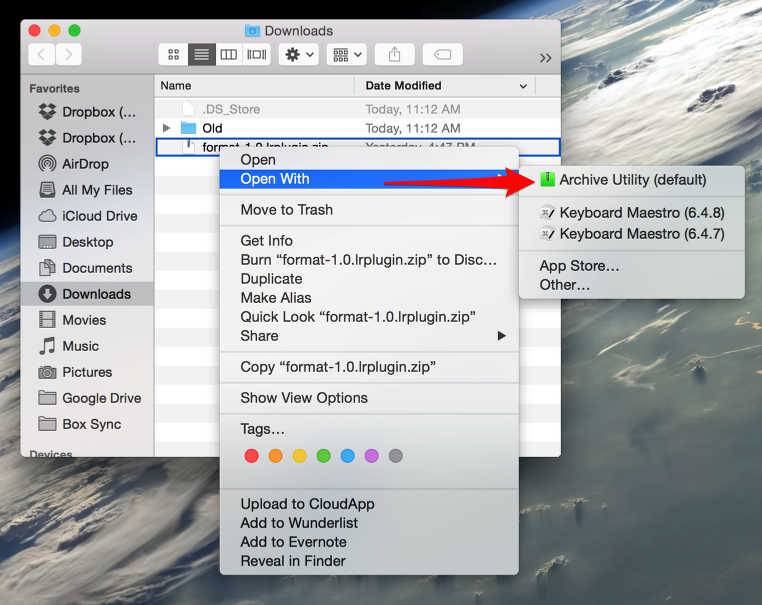 Once the download has completed, extract the contents of the archive (ZIP file). We recommend saving the Format Publisher plugin to your 'Documents' folder. If you are on a Windows OS device please do not use the 'autozip' extracted files but instead open the ZIP file in a Windows Explorer window and then drag the contents from within this window into your Documents (or other) folder and then Install via the Lightroom Plug-in Manager following the steps below. 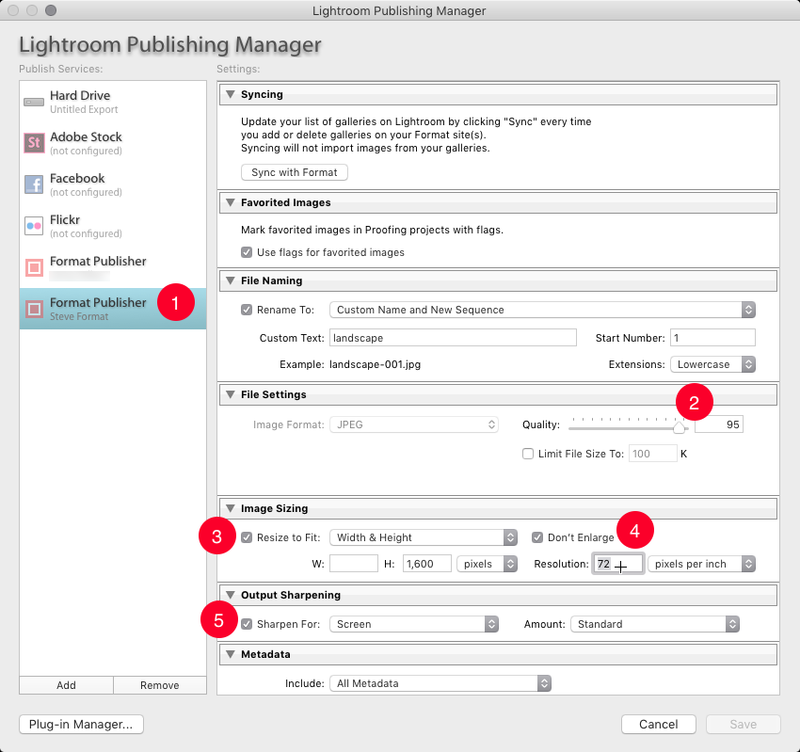 Use Lightroom’s 'File' menu and select "Plug-in Manager…". 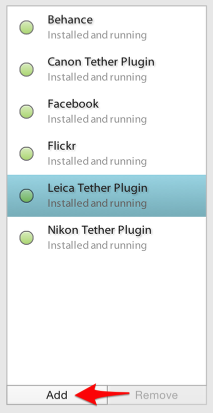 Choose "Add" option lower-left corner of the Plug-in Manager. Select and choose "Add Plug-In". Then tap "Done". You will now see Format added to the list of 'Publish Services'. Tap "Set Up" to configure it. Enter the Login and Password associated with your Format account and click "Login". 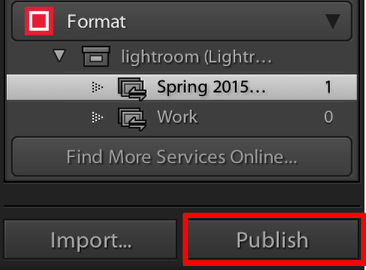 Update your list of Galleries or Proofing Projects on Lightroom by tapping 'Sync with Format' every time you add or delete Galleries or Proofing Projects on your Format site(s). 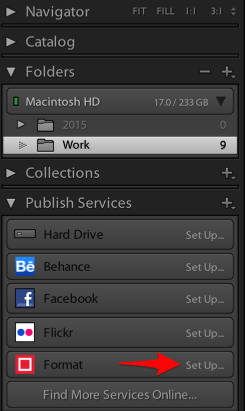 Syncing will not reverse-import images from Format to Lightroom. Set Resolution to 72ppi or 92ppi for Gallery Page images. For Proofing Projects where you are allowing clients to download the full resolution image set to 240ppi or 300ppi. Set your preferred Output Sharpening. Once satisfied with your changes, tap "Save". If you are using our Proofing Feature and allowing your clients to download full resolution images you will not want to restrict the Image Sizing or Quality of the image compression. 1. 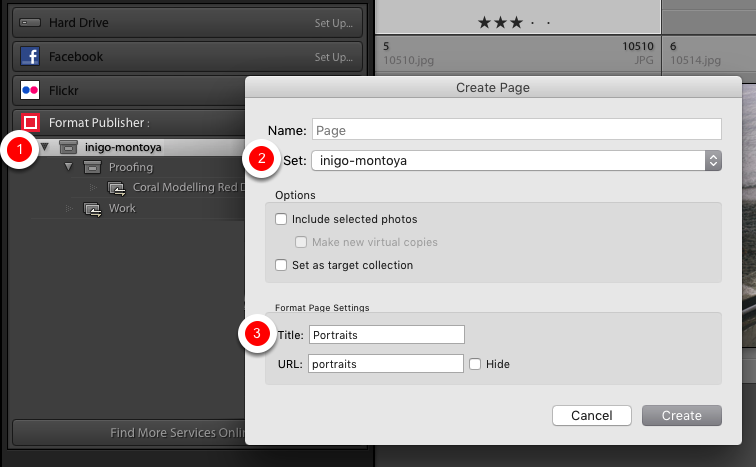 Right-click on your Format site name and choose "Create Page..."
2. The “Set” dropdown will list your sites on Format and allow you to choose which site you want the Gallery Page to appear on. 3. The “Title” and “URL” fields correspond to the title you wish your Gallery Page to have in your site’s menu and the URL you want displayed. The URL should all be in lowercase characters with a hyphen '-' used to indicate a space and to join the words together. 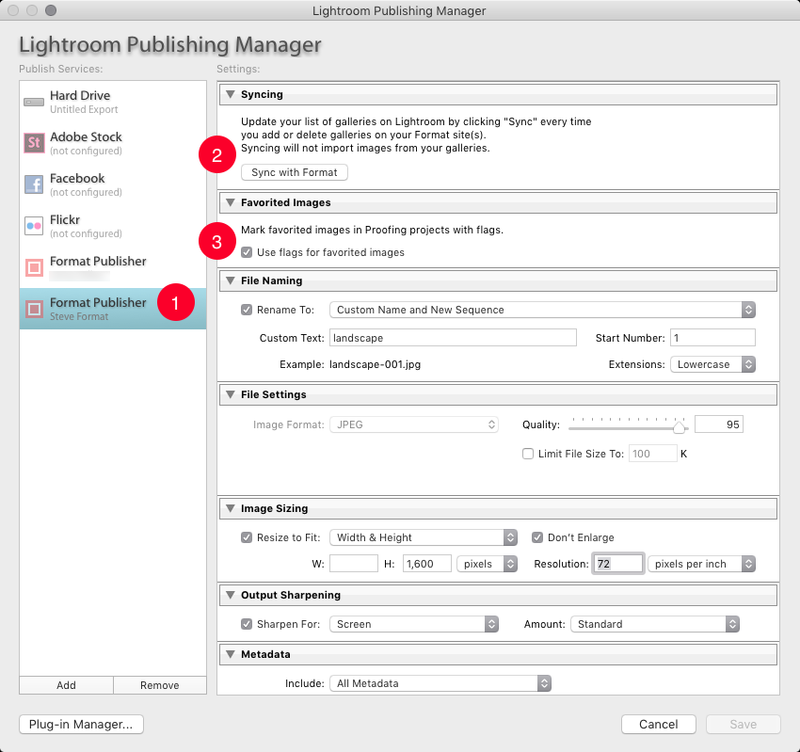 You can click-and-drag images from your Folders and Collections directly into the publish queue. 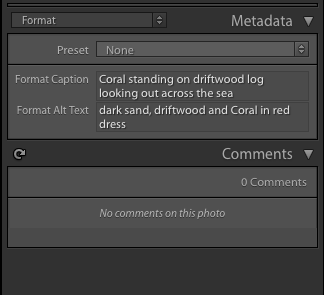 To save Metadata with your image select the Metadata panel and change the dropdown on the left from 'Default' to 'Format'. Enter your Format Caption and Format Alt Text. 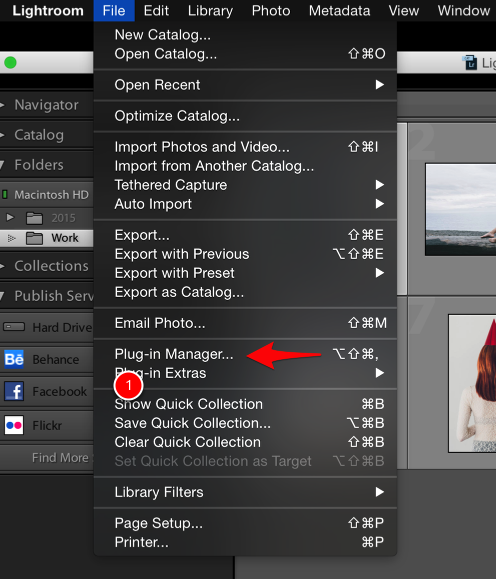 Once you’re happy with the metadata and export settings, you can choose to Publish your Gallery. 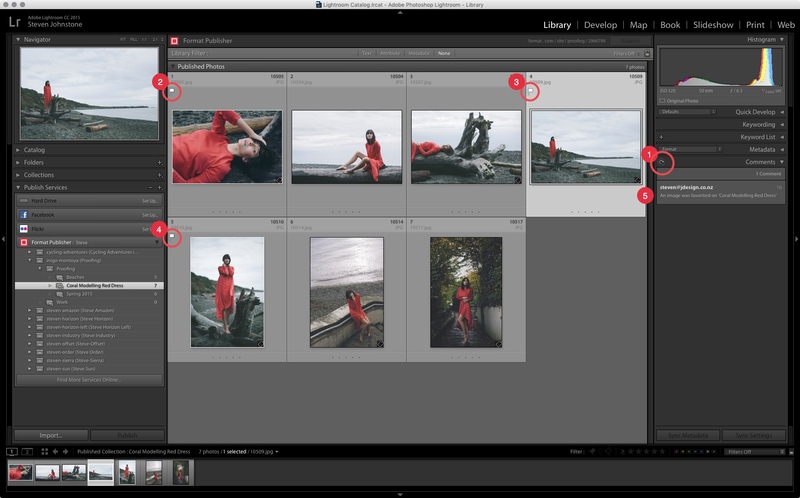 When making subsequent changes to your content in Lightroom, you may choose to mark either Gallery Pages or individual images within a Gallery page to republish, which will result in their being updated on Format when you click Publish. 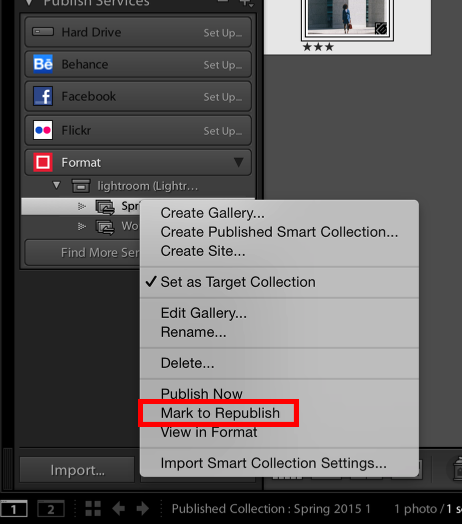 If you delete a photo, re-publishing the gallery will remove it from your Format Gallery page. 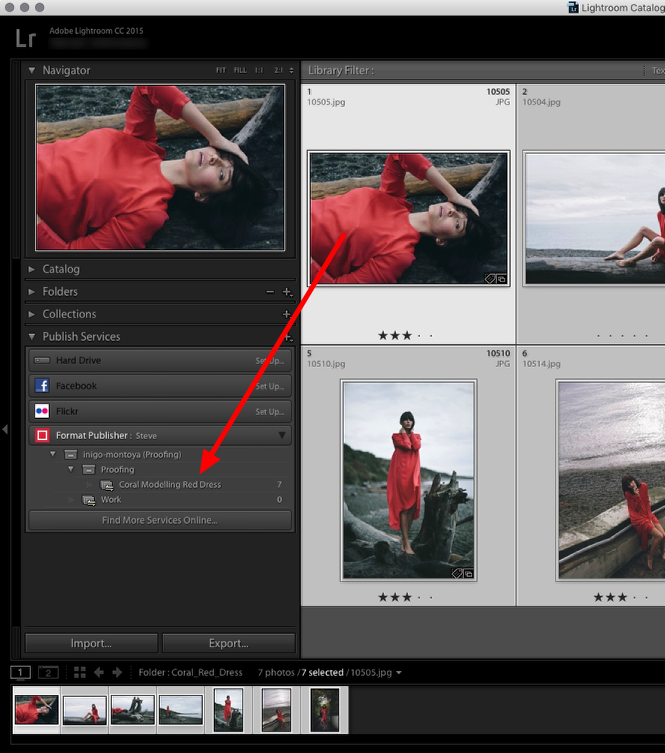 If your client 'favorites' an image when they are viewing their Proofing Project, you can 'Refresh Comments' to synchronize with Lightroom and the image will appear with a White 'Flag' in the top left corner. 2, 3 & 4. White 'Flag' icon showing image has been 'favorited' with a 'star'. 5. Comments panel showing who favorited images with email address. 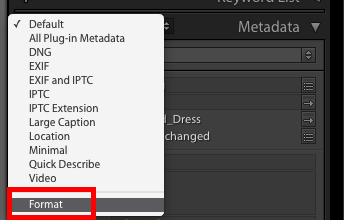 If you are using 'Flags' in Lightroom specifically for your existing workflow you may not want any 'Favorited' images to override what you have already set. 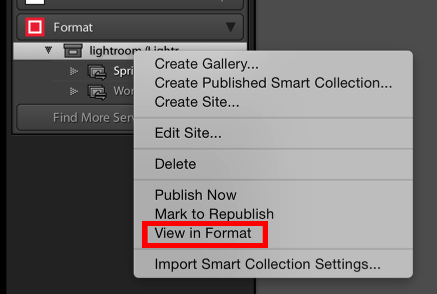 By 'Right' or 'Command' + clicking on a gallery page or site in Lightroom, you will bring up a contextual menu where you can choose “View in Format” to see the published page on your Format site. Adobe, Photoshop and Lightroom are either registered trademarks or trademarks of Adobe Systems Incorporated in the United States and/or other countries.